The sanctuary was dim, the only light coming from tiny square windows scattered along the walls, the artificial light reserved for the gilded dome of the sanctuary painted with an image of Christ, and the candles held by hand. Kabasakalis, “St. 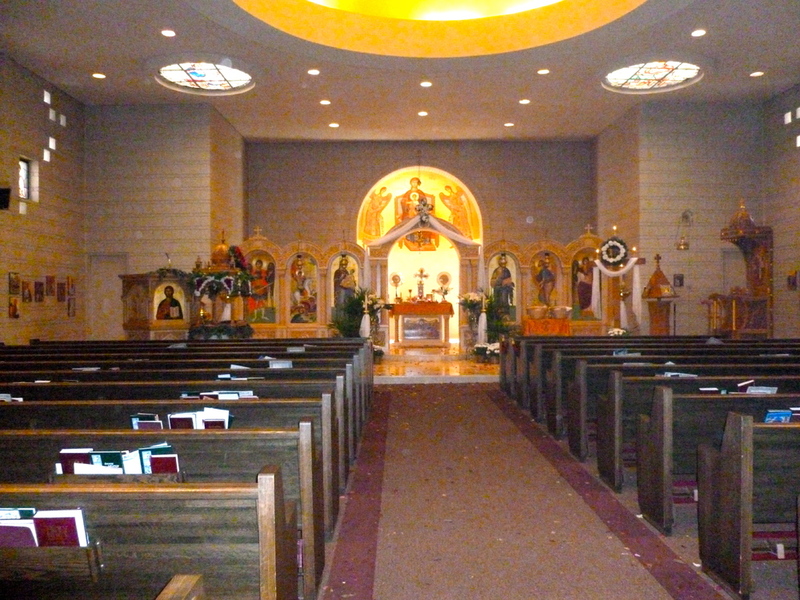 George's Cathedral Sanctuary,” Religions in Minnesota, accessed April 18, 2019, https://religionsmn.carleton.edu/items/show/2207.